shooting scenes through windows of moving cars is not a trivial thing. While shooting scenes through a car-window can be done with a green screen, film maker Tom Antos shows another way of doing this without getting a car in a studio. 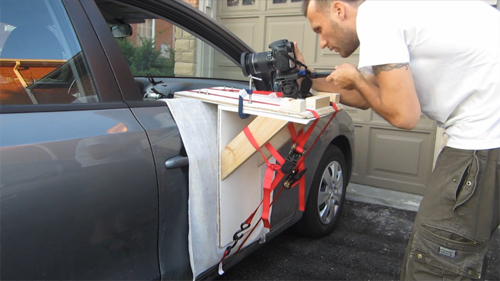 Tom builds a simple rig that can be attached to a car door, and hold a camera. While the rig is pretty simple to build, it is kinda scary to add acting to the many tasks you face as a driver (or to add driving to the many tasks you face as an actor). 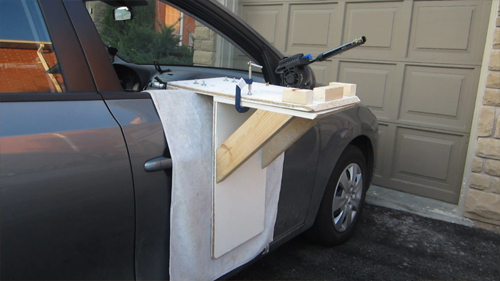 The rig is very straight forward and is built like a vice made from two wooden “L”s that clamps the door of the car. 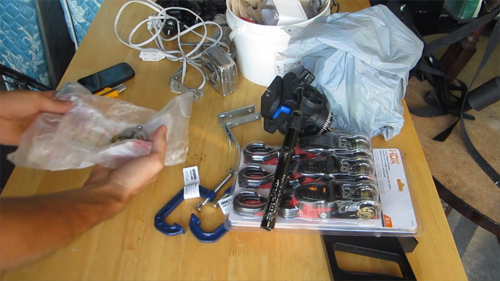 The build is very basic, and should probably take an hour or two including the trip to Home depot if you’ve done any simple woodwork before. I was wondering if anyone tried this and can testify to the stability and safety of the camera. P.S. If you need more POV for a car scene, try a Shotgun mount, a external door mount and a dashboard mount. Now that’s some coverage.